Remote Sensors? Rumble Strips? 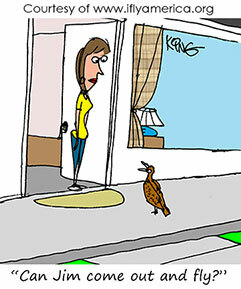 Heated Pavements? Oh My! To further enhance our runway surfaces and safety, the FAA, through its GA-focused Center of Excellence, is conducting cost-sharing research with the Partnership to Enhance General Aviation Safety, Accessibility, and Sustainability, or PEGASAS, to develop more cost-effective methods to improve our runway surfaces and safety. These methods are not only innovative, but also economical, since they look to re-purpose shelf-stable technology and products from other industries, to serve as safety features in aviation. Let’s take a look at three of these fresh approaches to runway surface improvements and runway safety. Why Didn’t I Think of This One? This first approach to runway surface improvement falls under the “Ah ha” category of incorporating new uses for existing technology to improve safety in GA. It’s called Heated Pavements. Not too dis-similar from the current technology we use in our cars today to de-ice windows and provide welcome warmth to chilly seats on a cold, frosty morning, this technology lends itself to the idea of using heated pavements on runways. PEGASAS studied the idea of using heated pavements to de-ice frozen apron areas and, potentially, taxiways and runways to improve traction and safety for critical surface operations such as taxiing, takeoffs, and landings. As we know, frozen precipitation, in the forms of ice, snow, slush, and freezing rain, significantly reduces runway traction. The de-icing methods we currently use involve sand/chemical mixtures that pose not only environmental concerns, but also can potentially result in foreign object damage to aircraft engines. Additionally, the costs of owning and operating snowplows can be substantial for many GA airports. Over the past decade, a number of national and international research studies have investigated the use of alternative energy for anti-icing, de-icing, and snow removal. Some efforts have studied geothermal hydraulic and battery-based, electrical systems as a source of heat, but with limited success. 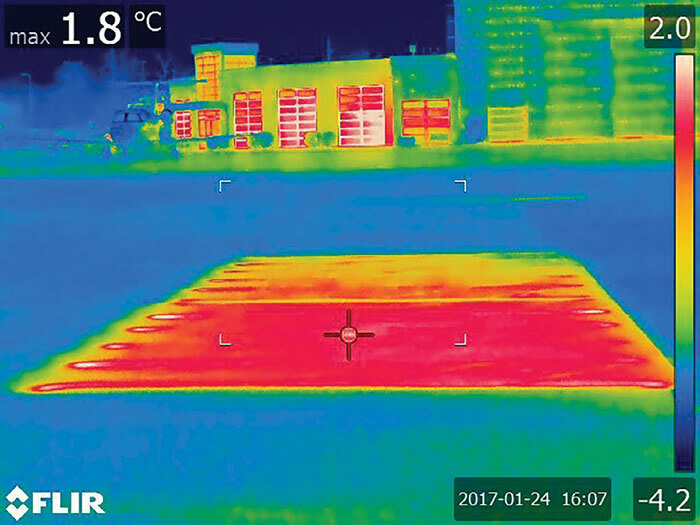 Currently, the FAA/PEGASAS research team is investigating the efficacy and cost-effectiveness of new, heated pavement technologies. This collaborative team includes Benjamin Mahaffay in the FAA’s Airport Pavement Research and Development division at the William J. Hughes Technical Center, and university leads Dr. Halil Ceylan of Iowa State University, and Dr. John Haddock of Purdue University. Their research involves a multi-pronged approach that examines products such as electrically conductive concrete, superhydrophobic (super-water-repellent) coatings, phase change materials, hybrid heating, and electrically conductive asphalt materials, and explores the use of advanced construction techniques for large-scale implementation of heated pavement systems. The world’s first, full-scale electrically conductive concrete (ECON) slabs at a U.S. airport were constructed and installed in the GA apron area at the Des Moines International Airport (KDSM) in Des Moines, Iowa in November 2016. Under ambient weather conditions at KDSM during the 2016-2017, and 2017-2018 winter seasons, the team evaluated the performance of the ECON slabs. “The next logical step is to take the technologies developed in-house and implement them full-scale, on-site through a series of field demonstrations,” says Dr. Ceylan. 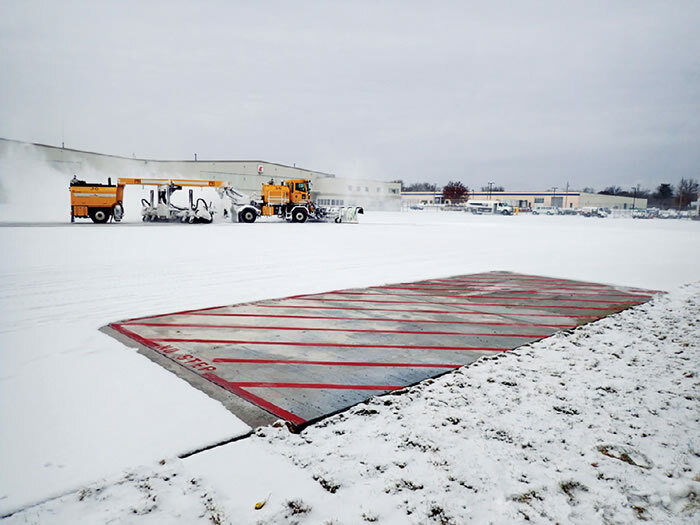 Innovative concepts such as heated pavement systems show good potential by providing enough heat to keep the surface temperature of the runway above freezing so that any frozen precipitation melts upon contact. The expected outcome of the research will provide guidance material to airport owners, engineers, operators, and contractors with the possibility of implementing heated pavement systems in the design and construction of our airports. It Works on Roadways, Why Not Runways? This next unique approach to improve runway surfaces and safety examines the possibility of re-purposing rumble strips for application on runway pavement. I’m guessing that most of us, at one time or another, have driven over those bumpy, road safety strips and then experience the jarring and disconcerting — but attention-getting — vibration that follows. Although unsettling, rumble strips serve their purpose as an effective and inexpensive safety tool to warn us of hazards and keep us from drifting over centerlines into oncoming traffic. They are easy to construct, non-intrusive, semi-permanent, and proven to withstand winter operations in the roadway environment. The FAA and PEGASAS explored leveraging the safety benefits of this cost-effective tool to help prevent runway incursions. The proposed method would involve the installation of rumble strips on runway holding position areas to warn pilots and airport vehicles. The FAA/PEGASAS team built temporary rumble strips at Purdue University Airport, under the direction of Don Gallagher, mathematician at the FAA Tech Center, and the PEGASAS team of researchers from both Purdue and Ohio State Universities. A test bed with raised, saw cut, and temporary rumble strips was tested with a variety of GA aircraft, and a typical airport ground vehicle. The test also recorded the impact on passengers inside the aircraft. 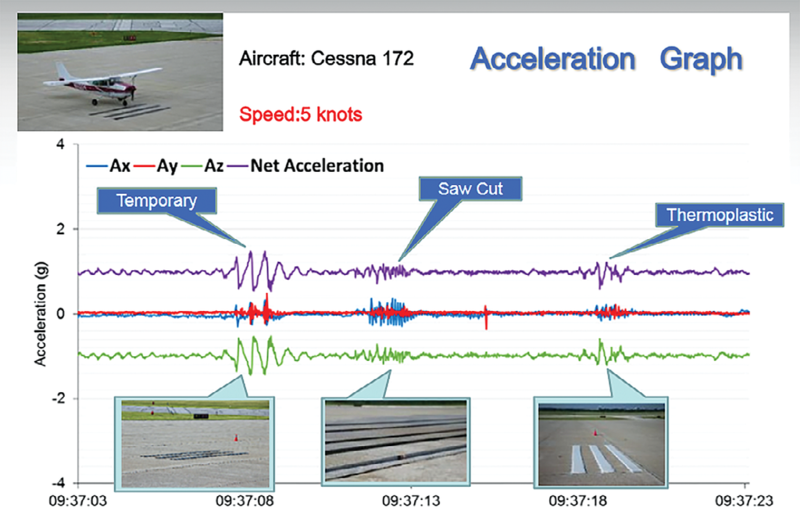 In Figure A, you can see the impact of the rumble strips on a Cessna 172 as it taxied over temporary, saw cut, and thermoplastic rumble strips at 5 knots. Purdue University researchers Dr. Darcy Bullock and Dr. Sarah Hubbard noted in their concluding report that while the impact of rumble strips varies depending on the aircraft and taxi speed, permanent rumble strips are not recommended out of concern for the airframe; however, temporary rumble strips may be appropriate for installation in areas that aircraft will not regularly traverse. The third pioneering approach to improve runway surfaces and safety involves the use of a time-tested technology called remote sensing. The FAA looked to re-purpose the object-recognition aspects of remote sensing to track the motion of aircraft in the airport environment. Traditionally, radar tracks aircraft motion in and around airports; however, radar is not equipped to accurately track an aircraft or vehicle on the ground. Airfield surveillance primarily relies on human observations from control towers, which is not fool-proof, and is vulnerable to impaired visibility during adverse weather conditions. Active remote sensing, however, is accurate, detailed, operates day and night, and in any type of weather. Remote sensing works by using laser lights to measure or sense objects from a great distance. The sensors “see” things by calculating the time elapsed between when its laser pulse is delivered to an object and when that pulse bounces off that object. Remote sensors use this measurement to determine distance and to display that object’s physical characteristics. You may already be familiar with active remote sensing, also known as LIDAR, which is short for light detection and ranging. Google uses it to create topographic Google Maps, for example, and most auto manufacturers use this technology to control and navigate autonomous, or self-driving, cars to “see” objects on the road. 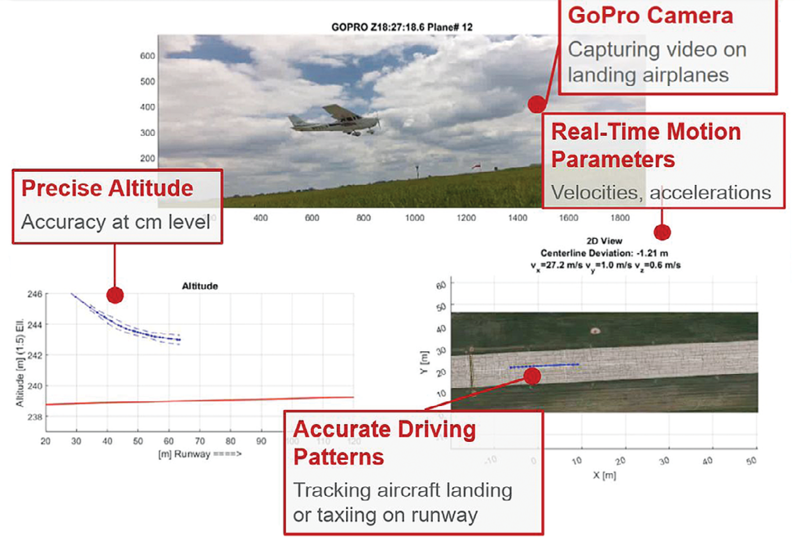 The FAA/PEGASAS team explored the possibility of using the object-recognition data from this technology to better understand and assess the risk of an aircraft’s patterns, trajectories, and operations in the airport environment. The joint research team included Lauren Collins, Airport Research Specialist at the FAA Tech Center, and the PEGASAS research team at Ohio State University led by Dr. Charles Toth, Shawn Pruchnicki, and Dr. Seth Young. The team developed a prototype system using two types of sensors. They attached these sensors to the column of standard airport light fixtures along the runways and taxiways at Ohio State University Airport in Columbus, Ohio. Alignment of the sensors with a GPS antenna optimized the largest field of view to capture a maximum number of tracking points with accurate timing. The sensors captured aircraft movements during taxi, takeoff, and landing. The results showed that these devices precisely captured the aircraft’s speed, pinpointed its location, its orientation, and created a 3-D image of the airplane body in the environment. (See Figures B and C). Figure B: Active imaging sensors accurately track and capture the aircraft’s speed, altitude, and motion. Figure C: Active imaging sensors reconstruct the 3-D model of the body of Cessna aircraft from different distances and headings. “The 3-D data enables the estimation of patterns or trajectories, the detection of aircraft types, and the monitoring of aircraft operations in general,” explains Dr. Toth. 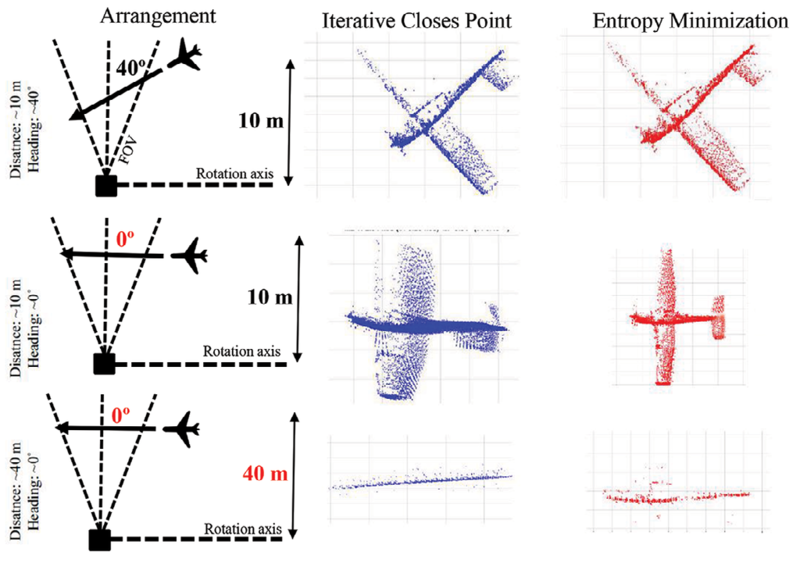 This data can help pilots understand an airplane’s motion relative to the runway centerline, which is beneficial for pilot education and training. In addition, airport planners can utilize this precise positioning data to determine if they need to widen or increase runways and safety areas, adjust spacing in and between taxiways, adjust spacing from the centerline to maximize aircraft separation, and determine how to accommodate particular types, or sizes, of aircraft. Phase I of this study is complete and was well received, with anticipation to move forward and conduct additional research in this groundbreaking field. Necessity, as the saying goes, is the mother of invention. It can inspire us to develop creative methods and products to tackle and address our current demands. Amidst the continuing and impactful work of the researchers at the FAA Tech Center and PEGASAS, general aviation is poised to move forward with challenges solved, through fresh, innovative, and non-traditional means to keep us safe on the ground, and in the air.